The APPI Pilates method can be described as “a form of dynamic stabilisation retraining that reconditions the body from the central core to prevent the recurrence of and treat a range of postural, musculo-skeletal and neurological conditions.” In other words by using APPI Pilates you can prevent or reduce aches and pains caused by poor posture, or conditions affecting your joints, soft tissues or nervous system. The beginner classes can accommodate people with a wide range of musculoskeletal and postural pain. These include, but are not limited to, back and neck pain, other joint pains, arthritis, sports injuries etc. If you have other conditions such as a neurological condition, multiple trauma, amputation or any other condition which may need more intensive input, one to one sessions may be more appropriate initially. 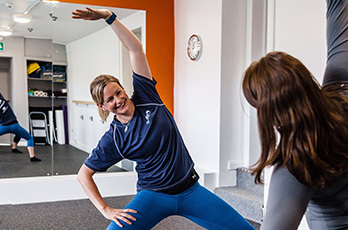 One to one clinical pilates consists of continual assessment and adjusting of the exercises to target your specific needs. This is a really good way to improve the outcome of any ongoing physiotherapy. Think of it as a 1 hour intensive physio-led exercise session. 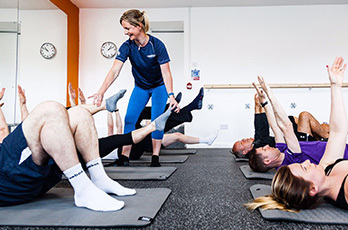 A block of six one to one sessions is highly recommended initially to give your body time to strengthen and learn the principle behind pilates. This is charged at £250 for a block of six 1 hour sessions. Individual sessions are £45 per hour but are reduced to £250 for block booking. If there are any conditions that have not been mentioned here, please contact us to discuss further. Our success is driven by you, we listen! New classes are being planned so if the current availability does not suit you let us know what would. If there is enough demand we could offer a class in your area at a time that suits you. Any other queries are very welcome. We hope to see you soon.